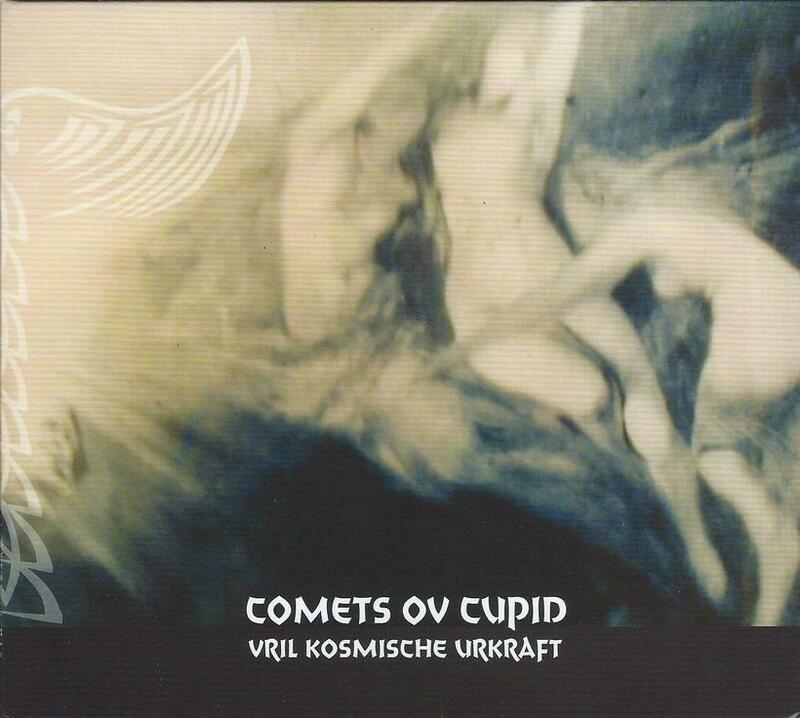 Comets Ov Cupid returns with its third release, following Metalgazer (2007) and Western Lands (2010). Vril Kosmische Urkraft finds the former Skye Klad and Satyrswitch frontman Jason Kesselring expanding on the territory he plumbed in Western Lands, a mix of noisy drones, quaking metal, and cosmic folk. This time out, the mostly instrumental album explores the depths and chasms of Germanic and Norse mythology and mysticism, taking the listener on a journey deep into the realms of the hollow earth and beyond. Vril was the ancient cosmic power harnessed by the advanced beings that dwelled in the hollow of the earth in The Coming Race, the 1871 novel by British writer Edward Bulwer-Lytton (and indeed, kosmische meaning ‘cosmic’ and urkraft meaning ‘ancient power’ fall in line with this). It certainly does seem that Kesselring is tapping into some kind of power as he unleashes the shivering drone attack of Mysterium Cosmographicum, the opening track on the album. It’s a brief piece, less than two minutes, before we’re flung full force into the throbbing intensity of Sleipner, featuring Kesselring’s trademark sound: a roar of hazy noise; enormous, fuzzed out bass; drum loops buried deep, deep in the mix, and relentlessly creative guitar soloing. It’s a thundering anthem for Odin’s steed. Viking Spacecraft, both a nod, one would presume, to ancient Norse explorers, and the unmanned vessels that landed on Mars in the 1970’s, takes a similar direction, but this time replaces the galloping rhythm with more of a zoned out interplanetary vibe. It’s pure spacerock for the cosmically inclined, perhaps one last glimpse of the outer cosmos before Kesselring turns the listeners attention inward with the brooding soundscape of The Hollow Earth. It’s as if he’s provided us with a map (Mysterium Cosmographicum) and the transportation of both ancient myth and the space age, then set us on a course into the unknown (something he did well on Western Lands too). Here, besides the aforementioned The Hollow Earth, the unknown manifests in the hauntingly melodic Ultima Thule; the weird, psychedelic folk of Valknut; and the eerie dronescape and restless chants of Ginnungagap (the name that the ancient Norse gave to the vast, primordial void that existed before the universe was created). The album concludes with the rollicking heavy metal stomp of Jormungand and the desolate, empty landscapes evoked by The Eternal Ice (a reference perhaps to the Norse end of the world?). And although that may leave the listener a bit chilled, it’s a good chill, the kind of chill that sends shivers up one’s spine, say, after having witnessed a manifestation of the unexplained, touched the cosmic or dreamed the endless dream. Kesselring takes a very unique and intriguing approach to mixing his music, like an alchemist experimenting, often inverting the typical mix, burying drums and muting melodies in favour of textural explorations. It serves his music well. One always gets a sense that there is something hidden beneath, some ancient secret or lost wisdom swirling under the surface. It makes the listener want to dig deeper, to find what lies within. But there’s the magic of Comets Ov Cupid: one can never quite find it. It remains elusive and mysterious, as all great cosmic secrets should remain.